No joke, the kid who guessed that famous Wasilla person (and former half-term governor) Sarah Palin was from “Wasilla” is now facing up to 20 years in prison for doing so. 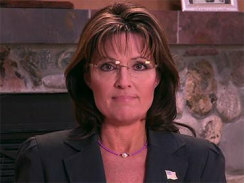 It seems Sarah Palin had a Yahoo! address, and used the security question: “What high school did you attend.” After literally zero research, David Kernell guessed “Wasilla High,” and had access to Palin’s email. Yes, the governor of Alaska’s email was that easy to hack. Is that even considered hacking — figuring out a rube’s password? Meh, apparently it is, and now Kernell is probably headed to the slammer. Palin put the whole situation in perspective on facebook, of course. 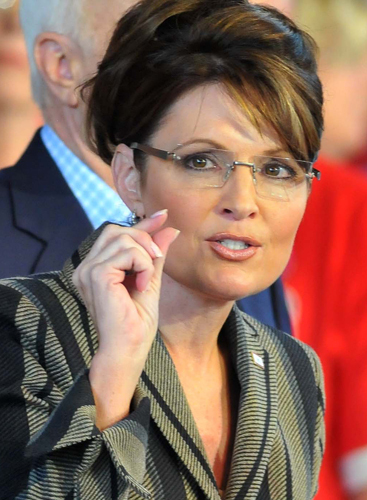 Who has more nuclear experience, Palin or Obama? 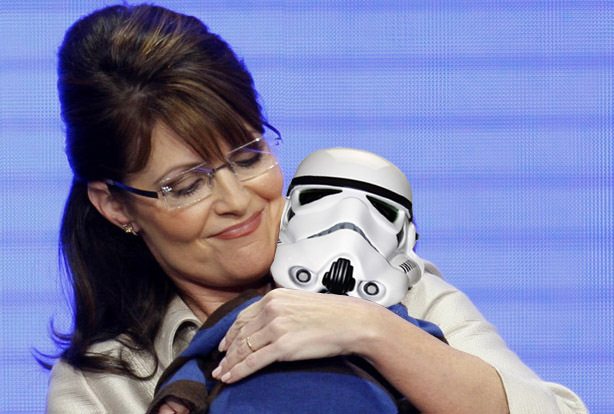 Sarah Palin gives a visual representation of her foreign policy experience. Only in this country could a dipshit former half-term governor and hillbilly grifter with zero – that’s zero – foreign policy experience be taken seriously when it comes to United States nuclear prowess and its implied defense against foreign powers. Obama shot back while overseas to sign a nuclear reduction deal with Russia, calling Palin “not much of an expert” on nuclear issues. Won’t. Write. About. Sarah Palin. Mustn’t. Write. About. Sarah Palin. 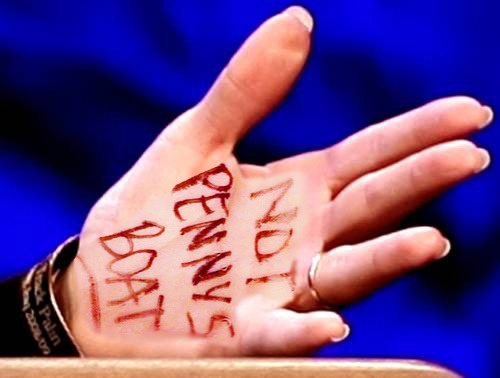 The Bible doesn’t mention permanent marker, of course; the line Palin referred to, “Behold, I have graven thee upon the palms of my hands,” features “writing” that is significantly more permanent. 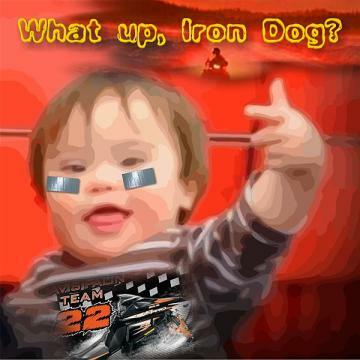 Flashback to a few months ago to when a blogger photoshopped a picture of young Trigger. Palin’s head almost exploded she was so mad. 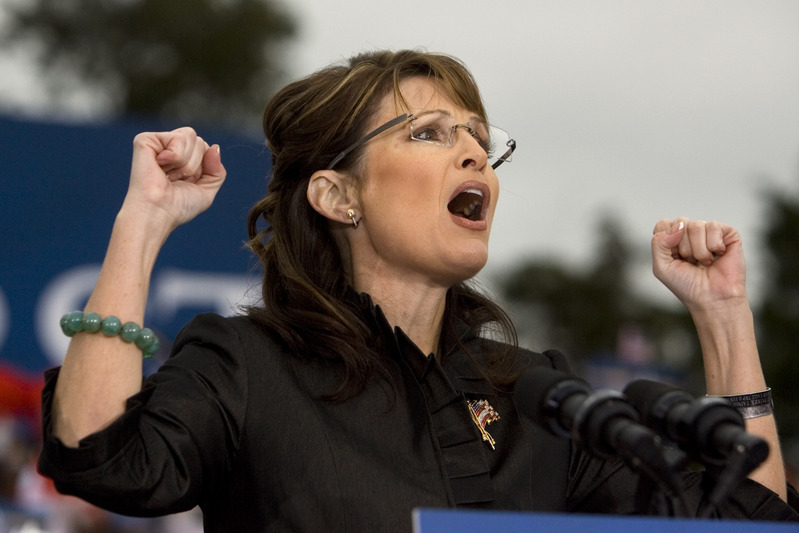 Well today, in touting her husband Todd’s “snow machine race,” Palin tweeted — SURPRISE! — a photoshopped picture of Trig. Yes, he was referring to the activists’ decision to campaign against conservative Democrats who opposed health care, but Sarah Palin isn’t exactly one to read an entire story. So naturally she saw “F–ing retarded” as a slur against the world’s most perfect political prop baby, TRIG PALIN, and she rushed to her IBM Thinkpad to call for Emanuel’s resignation — or firing — on Facebook. You know, maybe they weren’t there, Ms. Palin. But I’m guessing David McCullough wasn’t there with Harry Truman when Truman ordered Nagasaki and Hiroshima get bombed to smithereens, and Truman is considered one of the finest books, um, ever.